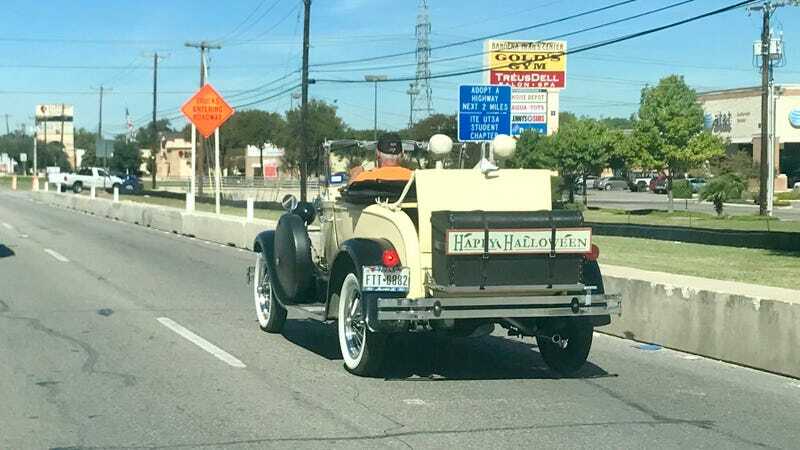 I believe this is a ‘29 Model A replica kit. With skeletons in the back seat. Hopefully those are replicas too.